Working with the team at Cactus Creative was a blast. 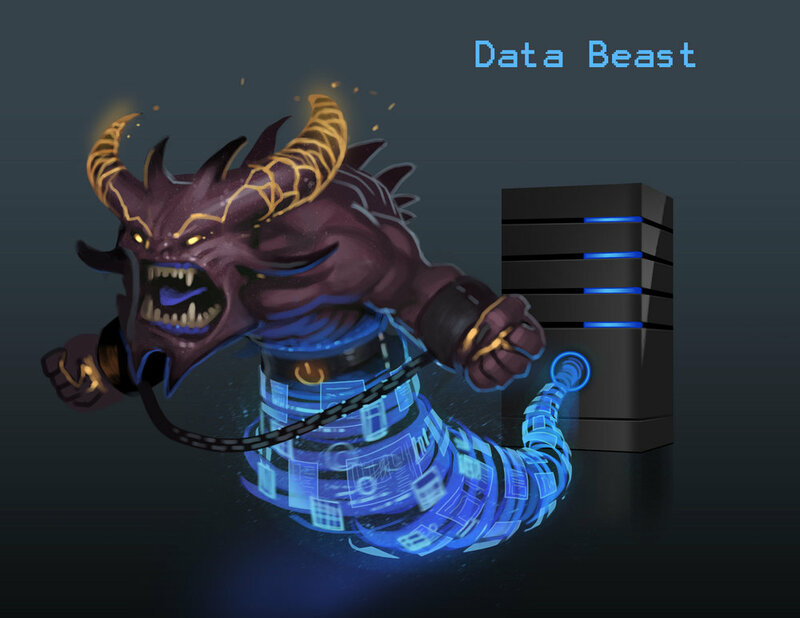 This project for Harris Broadcast's Invenio® asset management software gave us a chance to create a ferocious Data Beast using all of the tools in our arsenal on a single image. With quick digital paint comps, 3D models and post image processing, we were able to create a dynamic character image. Our flexible workflow helped manage the unexpected scope changes of the project without affecting the schedule, or the quality of the final image. The end result is a hulking beastly creature the client loves and we are all very proud of.